Meet Acorn to Arabella at the JD Tent Sale Tomorrow! Tomorrow, come by the Annual JD Tent Sale for a boatload of great deals on spring commissioning products – but stick around for the entertainment in the tent. 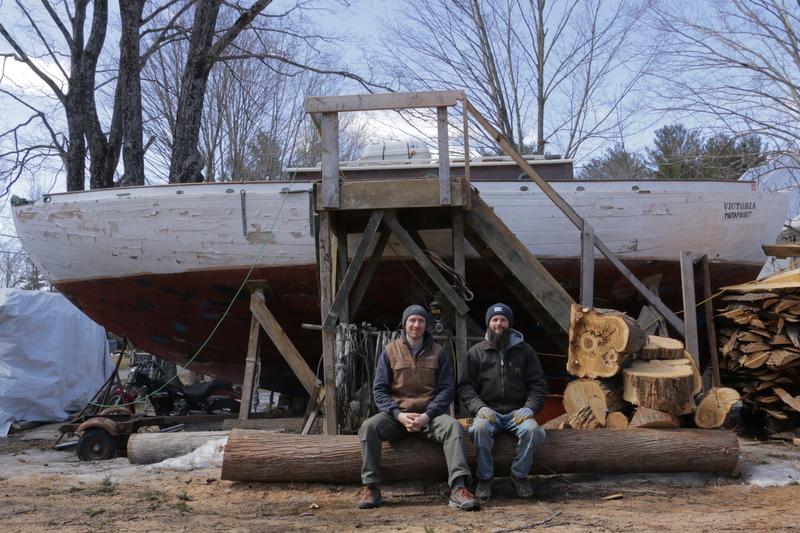 Backyard Boat Building TotalBoat Ambassadors, Steve and Alix from the Acorn to Arabella YouTube series, will be with us for the day. We are excited they will be in the tent demonstrating their rivet making process. They promise this is something to see, as they not only are actually making themselves the rivets they will need, but they also dreamed up and constructed the technique and tooling required to do so. With some ingenuity and a few hydraulic presses, we will witness their can-do-manship here under the Tent. Come say hello and if you have yet to do so, SUBSCRIBE to their channel and help them reach the magic 100,000 subscriber count! They are close! See you tomorrow under the big tent, here in beautiful Bristol, RI. Steve and Alix are getting close to the planking stage – following the attachment of all the floor timbers, they can concentrate on planking with donated cedar trees they felled. The bronze floors require the rivets they will be working on tomorrow – so come have a look and lend a hand for a bit as they crank out a collection to bring back to the boat and install. We hope to see you here – from 8am-3pm at 17 Peckham Drive In Bristol, RI. Read all about the Tent Sale here and head on over for fun, deals, reps to chat with and come cool boats to check out, too. Help Steve and Alex get their Acorn to Arabella YouTube Channel to 100,000 subscribers. Become a subscriber now! 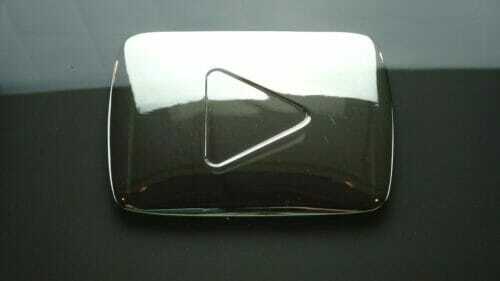 YouTube’s famous Silver Play Button is awarded to Channels with over 100,000 followers.